TRAVERSE CITY, Mich. — Federal officials said Monday they were prepared to act quickly if oil pipelines in a sensitive Michigan waterway leak, drawing a skeptical response from a U.S. senator who said the handling of a suspected anchor strike last spring exposed flaws in the system. Sen. Gary Peters, a Michigan Democrat, questioned the readiness of government agencies and the forthrightness of Enbridge Inc., owner of Line 5, which carries 23 million gallons of oil daily between Superior, Wisconsin, and Sarnia, Ontario. A nearly 5-mile, dual segment of the pipeline runs beneath the Straits of Mackinac, where Lakes Huron and Michigan converge. Enbridge says the 65-year-old pipeline is in good condition, while environmentalists and some elected officials contend it poses a risk of causing a catastrophic Great Lakes spill and should be decommissioned. “It needs to go,” said Peters, a member of a Senate subcommittee that deals with pipeline safety policy. 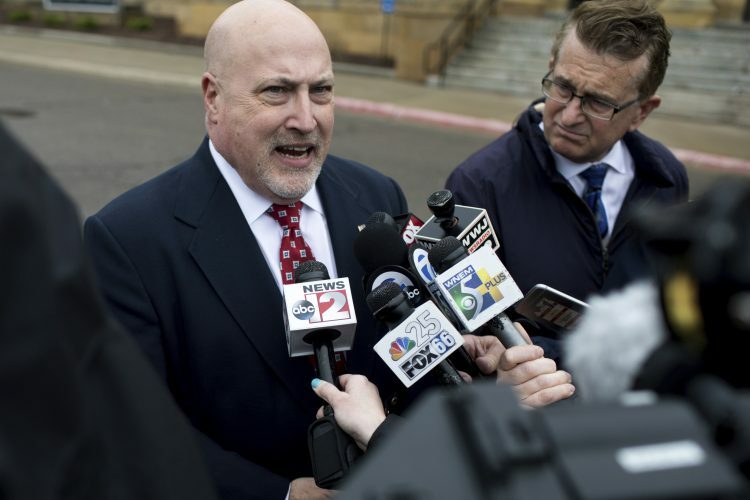 He grilled federal agency representatives during a crowded Traverse City hearing, saying the underwater portion of Line 5 “could have been a ticking time bomb” after it was struck by a suspected ship anchor April 1. “I don’t want to wait until the next disaster to consider what more we could have done to prevent it,” Peters said. Howard “Skip” Elliott, chief of Pipeline and Hazardous Materials Safety Administration, said the agency believes Line 5 is less likely to fail than another Enbridge line that spilled around 1 million gallons of oil in southern Michigan in 2010. The underwater portion of Line 5 has walls three times as thick as the pipe that ruptured and is operated at well below maximum pressure, he said.